The following was written by a Faroese who formerly participated in the pilot whale hunts known as the “grind”. It is his response to misinformation on the subject being posted widely on social media. He speaks in his own words and without influence. The content is unfiltered and the opinions and views expressed herein are his own. Having been attacked and threatened on multiple occasions for his views, only his first name has been employed. 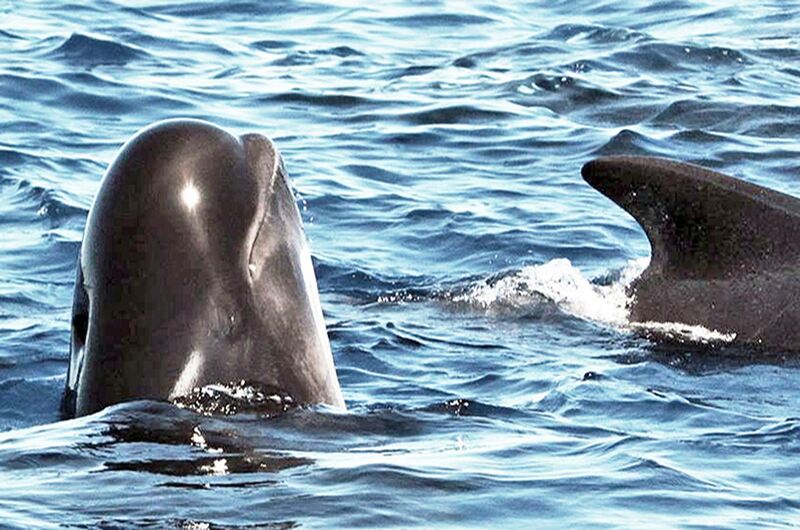 As an independent anti-whaling advocate, Sasha Abdolmajid wishes to see the end of the pilot whale hunts in the Faroe Islands – but he is not condemning the Faroese. He wants Jàkup, a Faroese, to be heard outside the islands. Abdolmajid believes the insights and opinions of the “other side” should be heard in order to foster understanding and dialogue. M y name is Jàkup, I’m 34 years old, and I’m an ex whale hunter. I stopped whaling five years ago because of the contamination and toxicity issues. I listened to the warnings of Pál Weihe, Chief Physician at the Department of Public Health, and no longer consume whale meat. I have seen whaling all my life. When I was younger, I saw my father on the beach taking part in the whaling, and I knew that someday it would be me. My father was never a fanatical whaler, but had a very calm relationship to it. He only joined in if we were running out of whale meat. I remember me asking him once, if we were going to a grind, but he answered no, we have enough. As I grew older, I started to go to the grinds myself, and I think that my father actually liked this since he could stay at home and still get the meat. Sometimes I would have enough, but still go to a grind and just give the meat to others. For instance my wife’s grandfather, who had no chance of going himself, but also others who I knew had no whale meat. I liked giving others free food. The first time that I cut a whale myself, I asked an old man if he could guide me through it. He was there by my side the whole time and every single cut was perfect, and no, we don’t chop and slice them, it’s one cut only. When my father was a child, they ate whale meat several times a week, and when I was a child, we ate it several times a month. Pál Weihe has checked my father’s health and it is perfect, no indication of any kind of damage from mercury or any other toxins. 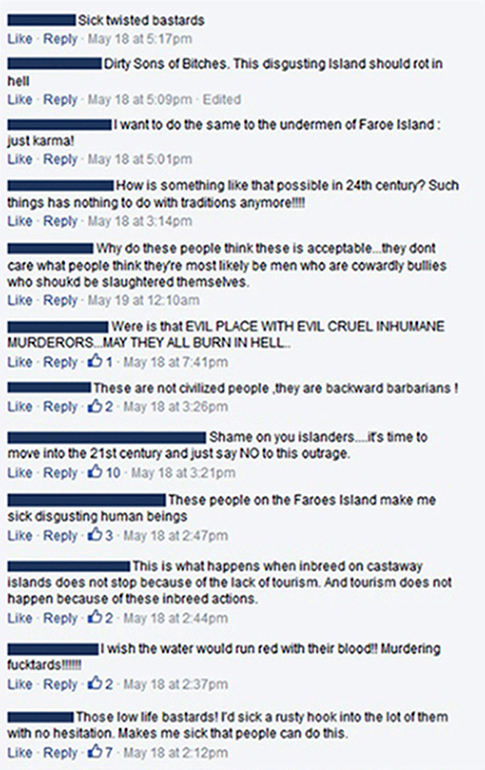 I’m often stunned by the comments that we get from people in other nations who attack us because of whaling. 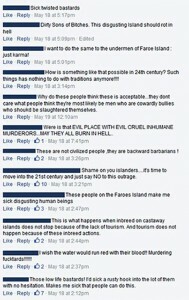 Comments like “I wish a tsunami would sweep over those islands”, “I hope they all die from eating toxic meat”, “Nuke those bastards” and “Karma will get you” are very common. We have been doing this for 1200 years now, exactly when will karma get us? The comments about nukes and tsunamis are always accepted on the Facebook pages of Sea Shepherd, but if a person is trying to point out the half -truths or direct lies on those pages, their comments are simply deleted and they are blocked. This of course brings me to the conclusion that they are not trying to tell people the truth, they are simply making people hate, nothing else. They need the hatred so that people will keep on wanting to fight us because this raises money. When we kill about 800 whales per year on average, how are we killing the oceans? Pollution is the big killer, so why not fight pollution? It’s simple, bloody pictures and dramatic twisted lies give a stronger reaction and secure donations. I respect people who fight for animal rights, but when they use any dirty trick in the book and only focus on the whales, then I simply cannot take them seriously or respect them. To me, it should be about animal welfare, not just whale welfare. I have read that during a grind we grab the nearest household tool and just start hitting the whales, that we are drunk, it’s a festival, it’s a test of manhood, that the meat is left to rot, that we serve poisoned food to our children (make up your minds, do we eat it or leave it to rot?) and so on. I have tried telling people that this is all made up by certain organisations, some listen and actually apologise for jumping to conclusions, but others tell me that I’m a liar, because they have read that it’s all for fun, a blood sport etc. Well, I could write some nasty stuff about them as well, but does it automatically become the truth? No, not even close! At the moment Pamela Anderson is on the Faroe Islands to fight the grind. My thoughts are, why doesn’t she stop the whaling in her own country before throwing stones at us, especially since they kill more than we do? We kill pilot whales which are not on the endangered list, but bowheads and beluga are, and they are hunted in the US and Canada, as well as narwhal. People tend to forget that, or maybe they don’t know about it. Some even accept it, although they are anti-whaling, because it’s done by the Inuit who are said to be natives. Why are we Faroese not natives? We are the only people who have lived here on these islands, are we not natives? Or can’t I be native simply because I’m white? All of these are just excuses, all in all, the US and Canada kill whales too! 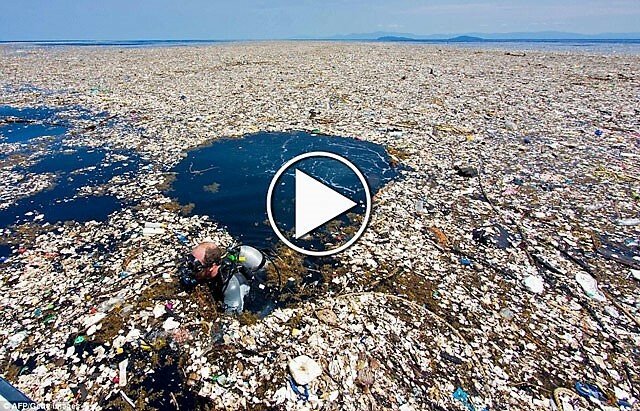 Sea Shepherd claims to be law-abiding, but since when did sinking ships become legal? When did destroying other people’s property become legal? They always refer to the laws of EU, but still they follow their leader Paul Watson, who is a fugitive on the run from the same EU, how contradictory is that? To be honest, the more dirty campaigns are run, the more I want to go back to whaling sometimes. It simply pisses me off. All meat has been alive at some point, so don’t tell me that whaling is wrong while stuffing yourself with a burger. If you’re vegan, then I fully support you. There are good people here who are fighting the grind, Faroese people. Get to know them, learn the facts, the real facts, and support them. Find out how to help, listen and understand what you’re dealing with before taking action. Name calling and hatred has never saved a whale – and that has been tried since the 80’s with no success at all. Change the tactic. We have had one murder in 23 years, how many nations can say that? We are not barbarians, not psychos, our children will not become psycho killers – like I said, one murder in 23 years. If you want to stop us killing whales, stop making us your enemies. This article is also available in French and Japanese. Thank you for the good article Jàkup, I really appreciate your point of view. Can you tell me how someone can get in contact with the Faroe people that are trying to stop whaling? Yep I have not seen Pam Anderson in canada protesting the whale hunts there, why? well because the press is not there.the whale hunting in the faroes will come to an end because of how toxic the meat it, it has been declining for years. the sea sheppards know this but they want to use it to fill their coffers period. I used to believe in their cause but there extremist vegan views turn me off, sure they are showing compassion to animals but as far as they are concerned you either share their views and be a vegan or else. They don’t think anyone should have a view other than theirs. I support the people of the Faroe Islands, it is their country and their laws, they are not a part of Denmark, or have they signed an agreement with the EU to not whale. I think they need to treat the sheppards as terrorist and write some new laws like, they can only protest is designated areas, if caught outside of the area 1 year in prison, if they assult any of their citizens 5 years in prison, if they interfere with the grind in any way 10 years prison time and do it all under terrorists acts, and of course have hefty fines attached to all of these. Once their time is up kick them out of the faroes and tell them to never return and make sure their names are on the terrorists list so other countries like japan/iceland and so on know who they are.I personally am opposed to whaling, but I am more opposed to people or countries forcing their beliefs on other people and countries this to me is about freedom of choice and when you interfere with others freedom of choice you should have your freedom taken away from you period.I agree that people need to clean up their own backyards before they can tell others to clean up theirs. When I read comments like yours and realize that people with such silly way of thinking really live on this planet, I lose almost all my hope that there could be a better future for the Earth… I can only pray that there are not too many characters like you outside. …When someone kills you, I hope your soul will then be satisfied, because this killer had his freedom of choice and nobody forced him to not kill you. Yes, you are right, we all should act like everything is just about our freedom of choice, no matter what the consequences are and how much suffering and pain we cause with our “freedom of choice”. If you watch videos of the grind it is absolutely not one single swift cut that kills the whale – it is a good deal of hacking away before the spine and blood vessels are reached. Also the idea of Sea Shepherd using threatening language as if no Faeroese are is ridiculous. I have a screengrab of a photo in the ‘stop sea Shepherd violence’ fb group which has the Nazi SS logo next to a picture of one of the Sea Shepherd captains with the caption ‘kill em all’. Sea Shepherd does not make money from this campaign. The crew on the ground are volunteers and are not paid. Those who say the whales are not endangered because there seem to be lots – the same was said of the passenger pigeon. The iucn has no idea how many whales there are so they cannot be safely classed as not endangered. All that said this was really interesting and it’s great to get other viewpoints and open up a dialogue. You simply amaze me with your naivity… SS doesn’t make money, you are kidding right? The whales are the golden goose for Watson, only gullible people imagine the opposite, no matter how well intentioned they are. This is more about a nations freedom of choice vs animal rights, and I call B.S. on sea shepherd not making money off of this, they post the bloodiest pics they can find and the donation dollars come flowing in, and besides you see to have done zero research on the sea shepherds, like did you know they charge their volunteers $1000 or more to be on one of their ships on one of their campaigns? Nope because you just read what they want you to read, they are very shady with their money, where it comes from where it goes and so on, Like I have said I am personally opposed to whaling, the Faroes are a nation that whales I may not agree with them but it is their right, and besides it is coming to an end with how toxic the meat is, the shepherds are there just to get headlines and donations. If it is not about the money have the shepherds announce we are no longer accepting donations and we will fight for our cause by using the money we already have and our personal money…..I bet that will never ever happen.Like I said this is about freedom of choice lots of other countries do nto agree with stuff like women.s rights, especially in the middle eastern countries so I guess to appease them we should revoke women’s rights, see how that works? I’d be really interested to hear your sources on the financial issues, particularly the unsubstantiated $1000 figure. If you could provide some documentation I’m sure it would make very interesting reading! The volunteers are not paid and personal money is used, as a single glance at the application form would inform you (making the zero research comment a touch ironic). Re: women’s rights in the middle east, what a bizarre way of looking at it. I would say that in both cases there is a deeply disturbing practice going on (the grind/mistreatment of women in certain cases) with NGOs working against them (just one example from each being SSCS/Amnesty International), and I peacefully support the non violent objectives of those NGOs. How deep does your tradition argument run? Should we bring back public executions? Bear baiting? Slavery? I’m British and those were traditions in my country and I am delighted they are not any more (and British groups continue to work against outdated traditions here – it’s not a case of Faeroese exceptionalism as some think). Interested to hear your thoughts/points. http://www.canadafreepress.com/2005/higgins100705.htm Here is one article on their dealings, I can not find the one with says flat out they do charge volunteers, it might not have been true, who’s to say? 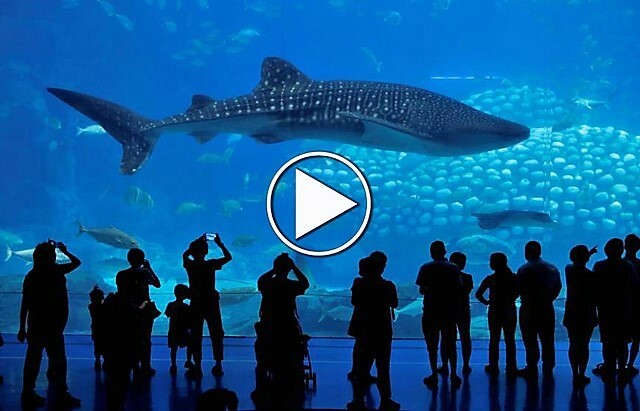 I would not put it pasted them especially when whale wars was filming people do all sorts of things to get on tv. yes the so called land based volunteers use their own money and yes hand it to the people of the faroes and tajai that will teach them to annouce they are going to whale!!!! we will spend mass amount of money there and take pics of bloody water to SS gets more donations. If they want to eat toxic meat let them it is a problem that will be solved with no one doing a thing, the grind has been in decline for decades less and less people are involved, I guess SS needs to take credit for that as well? even though SS did not exists.So you are basically saying YOU and YOUR country have the right to force another country to do what you want? So basically you are a nazi do as we say or else huh? I do not agree with a lot of things in the world I can voice my opinion and not give them money I do not have a right to tell another cultures what to do, I do not even have the right to tell you how to live like you have zero right to tell me how too.So if you want to live in a world where one country can tell others what to do go ahead just leave me out of it, and do not be shocked when you are forced to live in a way you do not like. I have not eaten meat in 30 years. I grew up the son of a trapper and farmer. I find all killing of social animals for food to be barbaric and unnecessary. Why not work toward a better, more peaceful world?